As someone who is constantly on the Internet, I have learned a lot about the things that people usually think they are having trouble with. These are things that people would call a customer service representative about, to which the rep would typically respond something along the lines of â€œhave you tried turning it off and back on again?â€ (Something that I am sure we have all heard once or twice). Browsing yahoo answers, along with some other websites that offer help to people having issues online, I found that something the majority of people have trouble with is refreshing the page they are on, and everything staying the same. Have you ever edited a Google Doc, changed your Facebook profile picture, or done anything else that included changing a page on the Internet, but found that when you refreshed it everything was still the same? The unedited version had reappeared and left you frustrated and wondering why your changes were not saved or even registered. This can typically only be caused by one thing (other than the website making a mistake) and that is called your Cache. 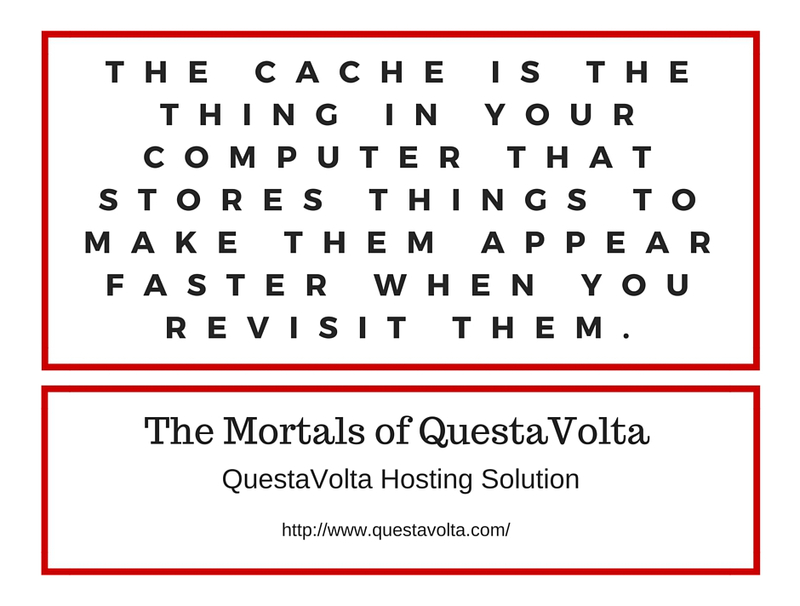 The Cache is the thing in your computer that stores things to make them appear faster when you revisit them. So say you have visited the skating website The Berrics (theberrics.com) and looked at their products multiple times. Your computer saves those images and words on that page so that the next time you go there, it doesnâ€™t even have to think to load it for you. 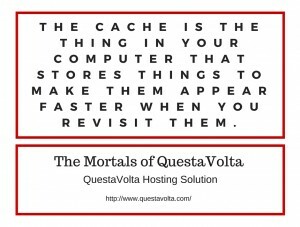 This can be helpful for things like the homepage of Google, but when you are trying to change the way a website looks, your Cache may impede you. When this happens, it needs to be cleared. To clear your Cache and allow yourself to see the changes you have made to your website, you can typically just press Control- Shift- Delete and it will pull up another window leading you to press a button that says â€œclearâ€ and that should delete everything saved there. If that fails you, there is always the search bar on your browser where you can look up â€œCacheâ€ and manually clear it from there. This will allow your computer to start fresh on whatever page you are trying to change up, and when you hit refresh you will be able to see your changes!